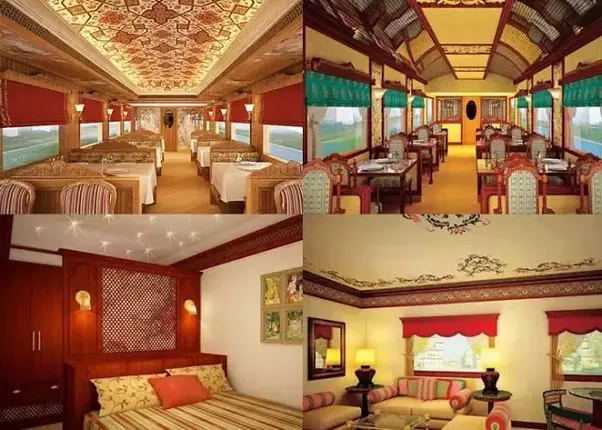 Maharaja’s Express is one of the most popular luxury trains running on Indian rails. 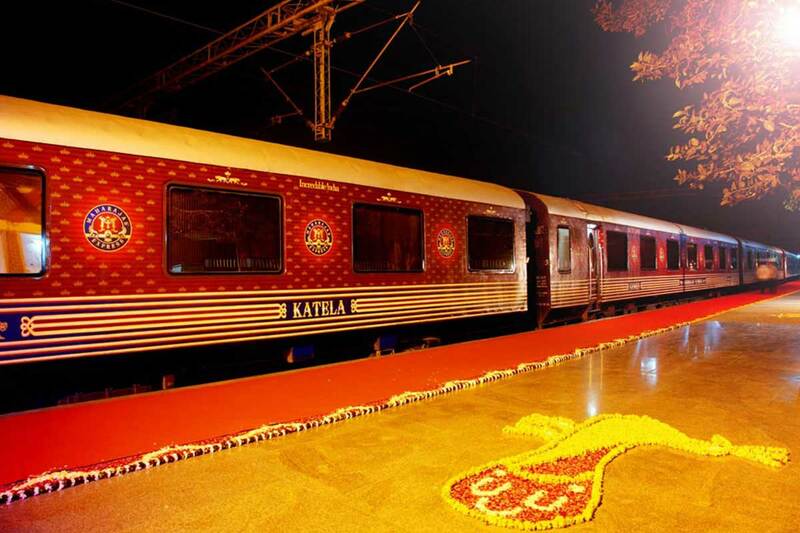 The train was started by the Indian Railways Catering and Tourism Corporation (IRCTC) with a view to providing once in a lifetime Maharaja experience to their guests. Since “Maharaja” was the term used to refer to the Indian monarch, the train and the hospitality services are inspired by the lives of the great rulers. King size beds that were studded with jewels, cabins that would put Five Star hotel suites, royalty dripping from the name itself are present in the train. Recreating and re-living the history! 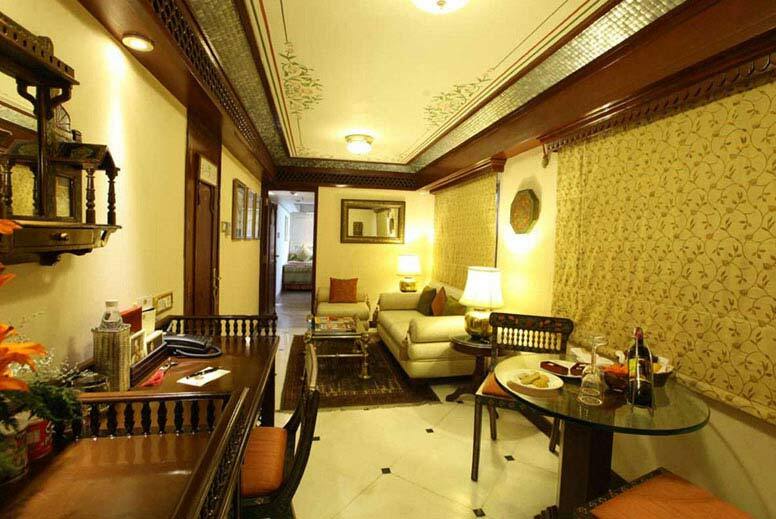 Maharaja Express, not just a journey, It is a lifestyle – 7 days of godly bliss. It is here to redefine luxury and comfort. It creates the lifestyle of a royal time. The train has a four-cabin arrangement – Presidential Suite, Suite, Junior Suite and Deluxe Cabin. All cabins and suites emphasize wide panoramic windows to enjoy the gorgeous scenic landscape you just could not miss. Facilities such as Live Television, Wi-Fi Internet and individual climate control modify your cabin into the childhood dream you always wished to come true. So if you wish to visit Kerala, Maharaja Express is one of the most comfortable options to go by. 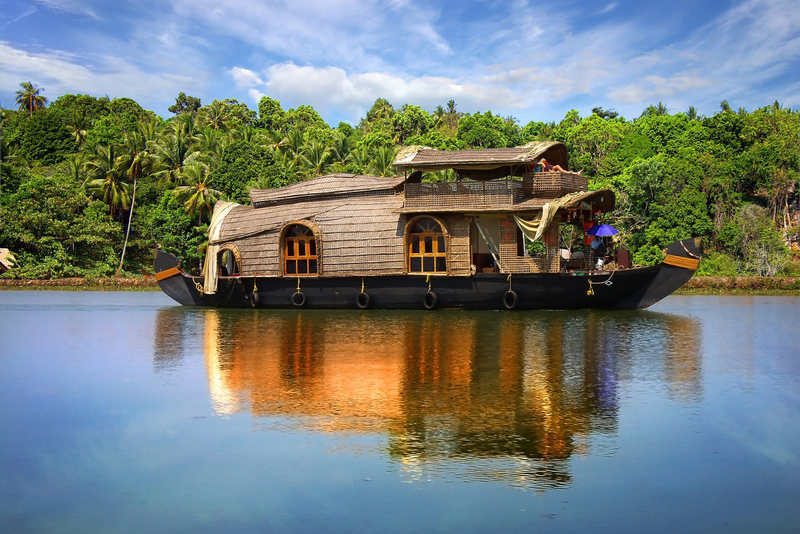 The Southern Sojourn journey takes the guests to the most beautiful city of India – Kerala. It departs from Mumbai – Chhatrapati Shivaji Terminus at 0630 hrs and arrives at Trivandrum – Kochuveli Railway Station at 0800 Hrs. Guests embarking the Maharaja Express have to arrive at least an hour before the train’s departure at a pre-assigned place in Mumbai for the pre-boarding formalities. All final aspects related to the meeting point will be emailed or handed over along with the journey’s travel statements and papers, about 14 days before the departure date. This year, the journey starts on 15th September 2018, Saturday. Book your seats now as they might run out soon! You get to visit another beautiful city of India on this day and have lots of adventures. On this day you visit Model Eco Tourism village where you can explore a lot of different things. By the end of the day, you also get to explore the unique Chinese Fishing Nets during the city round of this journey. This day is one the best parts of the journey as it takes you to Kerala which is known for its ethnic culture and beautiful surroundings. 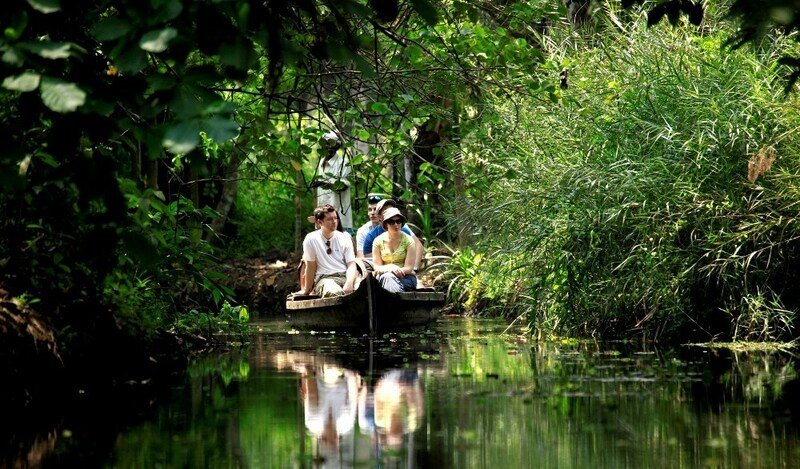 You get to experience canoe ride on the Kumarakom backwaters and have fun there. The exhilarating Snake Boat Race is another part of the day which can be really exciting. After the tiring day, you get special Indian Evening with drinks and dinner onboard the train where you relax. This is the last stop of the journey and the end of the royal tour. The guests get down here. Once you are in Kerala there are a lot of things you can explore. 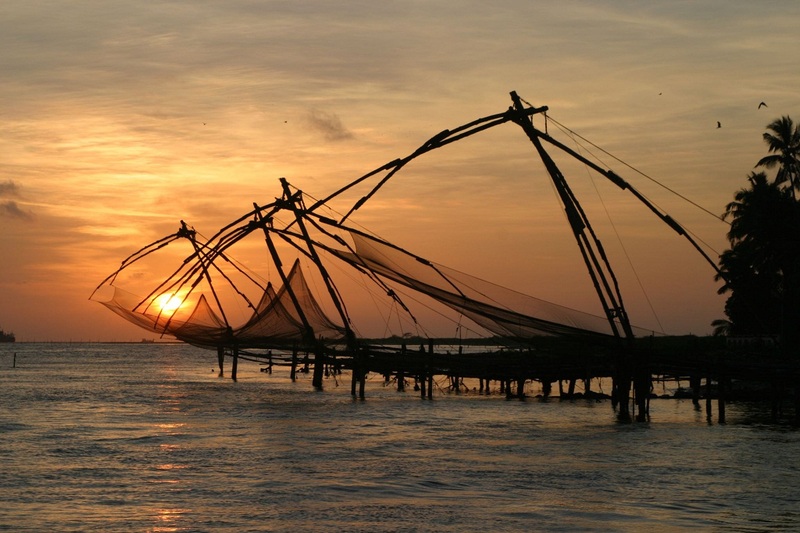 Kochi, alias Cochin, is the industrial capital of Kerala. The Queen of the Arabian Sea’ triumphs of the giant Chinese fishing nets, classical mosques, a 400-year-old synagogue and Portuguese residences are a marvel here. One of the excellent place to see Kalaripayattu and Kathakali, Kochi also gives especially marvelous sightseeing opportunities. The azure lagoons and calm houseboat journeys are classic for a relaxing getaway. Appreciate some of the pleasing South Indian cookeries served here in a traditional method. The capital city of ‘God’s Own Country’ Kerala, Trivandrum is the hub of memoir, customs, cultures and tourist enjoyments. The wonderful design, cultural displays, amusing shopping, genuine traditional therapies of Ayurveda can all be experienced in this amazing city. The traditional, spiritual and cultural spots make the city one of the must-visit sites in India. Made in the 18th century, Vizhinjam rock-cut cave temple frames absolutely amazing rock- cut figurines. 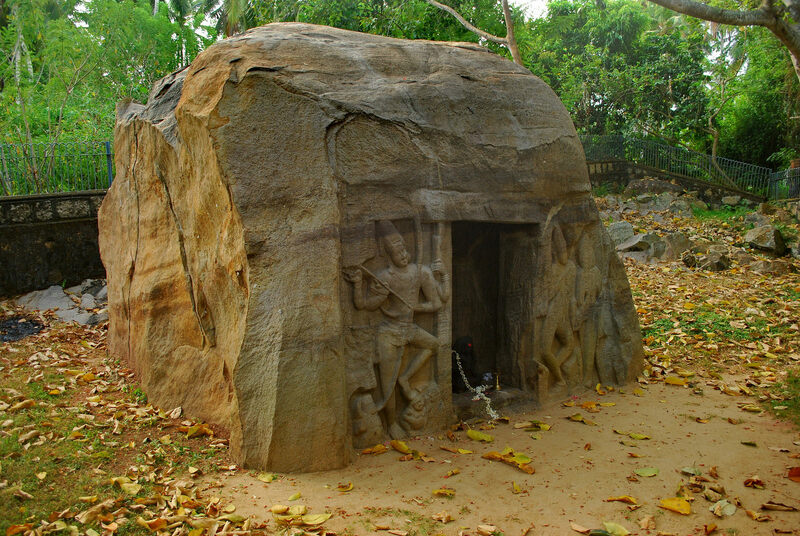 This granite cave holds a one-celled memorial that has a loose statue of Vinandhara Dakshinamurthi. On the outer wall of the cave, carvings of half-complete remains of the Hindu Lord Shiva with his wife Goddess Parvathi can be examined and admired. 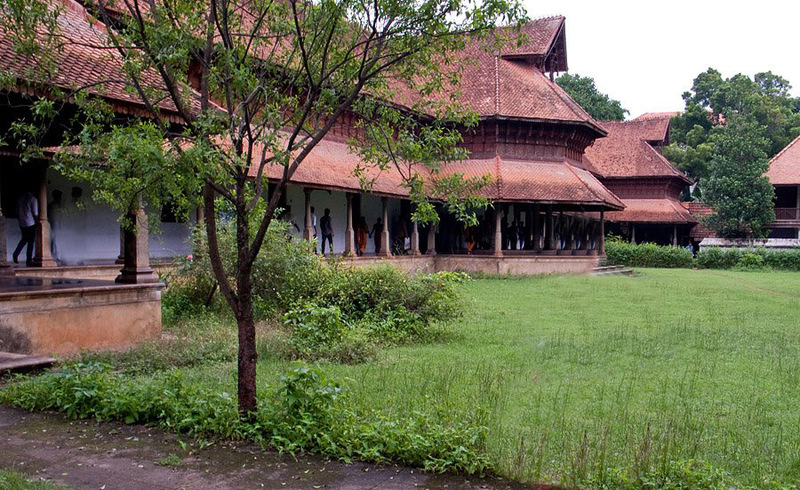 This mansion is a magnificent example of very few left examples of the legendary Travancore style of architecture where fine wood is also applied. Now changed into a museum, it has invaluable acquisitions of the royal family. The Trivandrum Zoo is positioned in the middle of the city and is reckoned as one of the best-designed ones in Asia. It is one of the first national parks of India. Instituted in 1859, this zoo includes 55 acres of woodland, lakes, and lawns. The zoo also houses a reptile house with several snake varieties and a vulture home as well. There is a lake and boat house too within the zoo’s base. The park is habitat for around 75 mammal species as well as native and wandering birds from Australia and Ethiopia. You can detect animals like Nilgiri langur, lion-tailed macaque, royal Bengal tiger, Cape buffalo and lot more to amaze yourself. The beaches of Trivandrum are appreciated for their wonderful sightseeing. The Arabian Sea’s cerulean distance along the Kovalam Beach is a gorgeous beach. 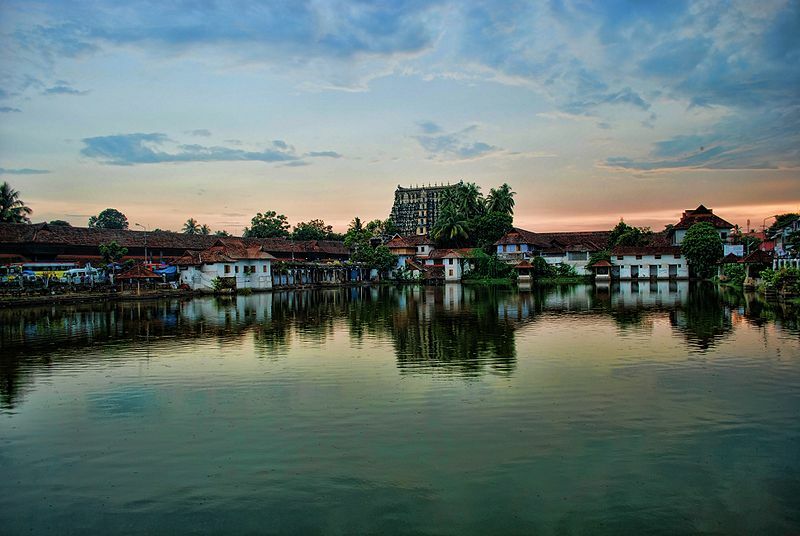 It is one of the peaceful holiday spots in Kerala. 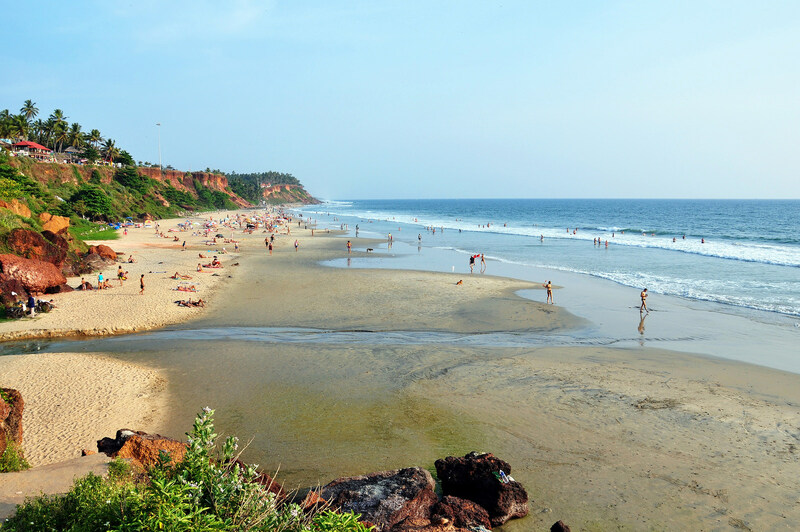 Varkala beach is a calming experience as the charming scene to unexploited wonders. Sunbathing, relaxing, Ayurvedic massages and water-sports are some of the things one must not miss during their visit. 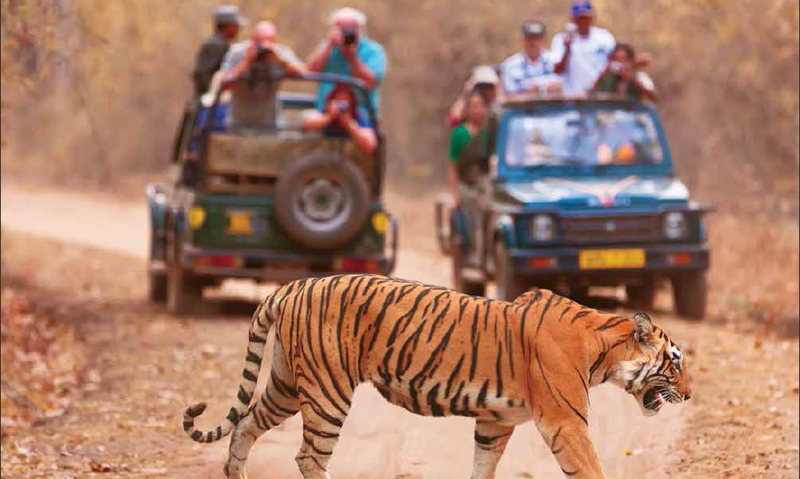 Explore the incredible journey of Maharajas Express with the most beautiful places. So do not hold back and book the train journey now! What is the schedule of Maharaja Express? 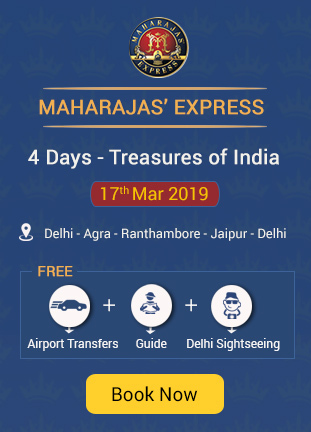 How to Book Maharaja Express Train? Any offer on Maharaja Express?